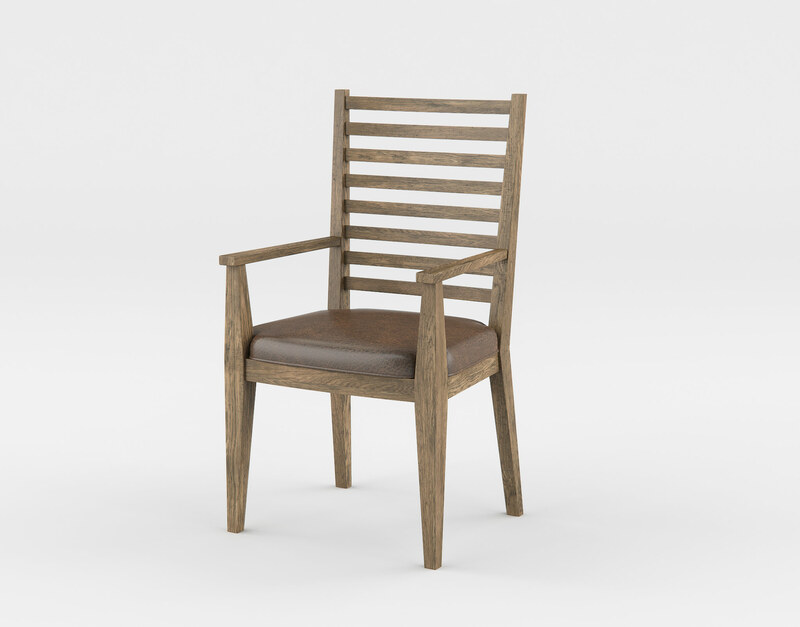 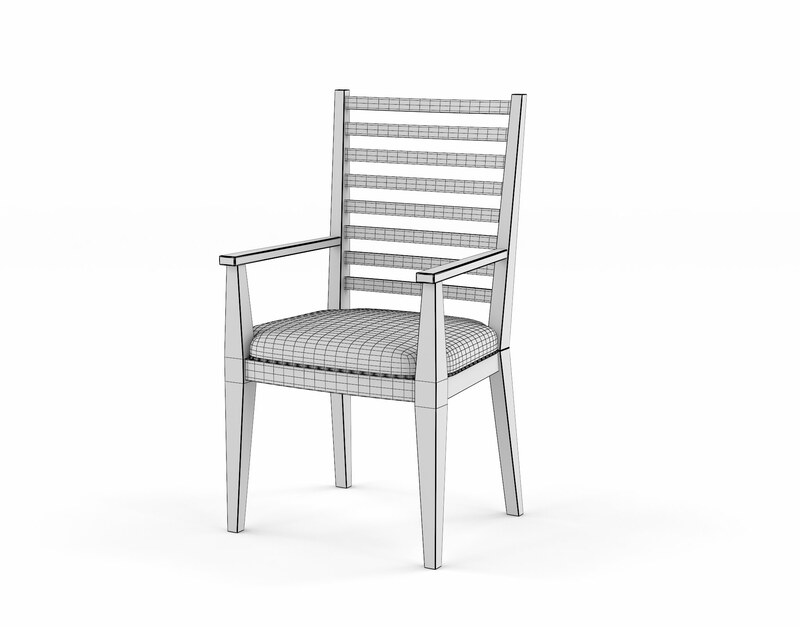 The Firmus Arm Chair 3D Model has been designed alongside other members of the Firmus collection to fit into a wide range of interior visualization scenes. 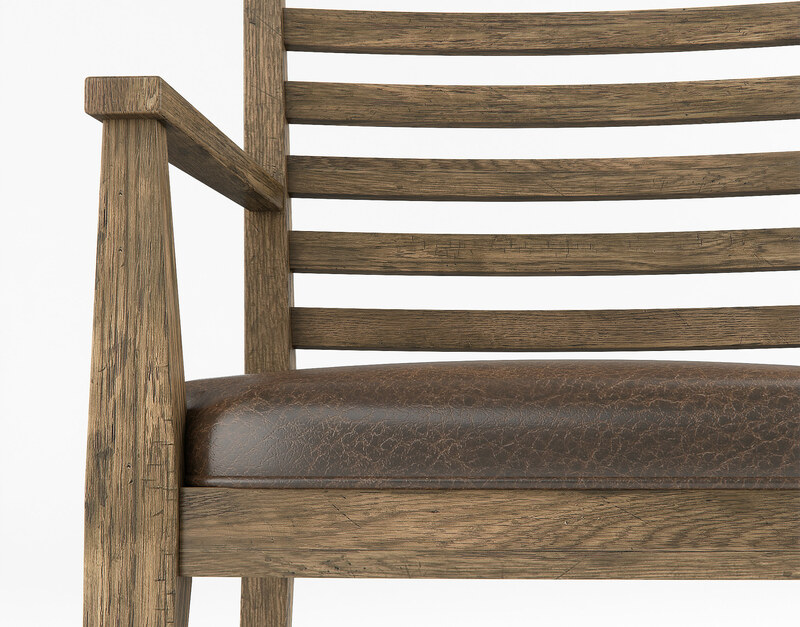 This model has been optimized for photorealistic rendering through 3DS Max and VRay materials and is also available in many other common file formats for maximum flexibility—just like its inherent design! 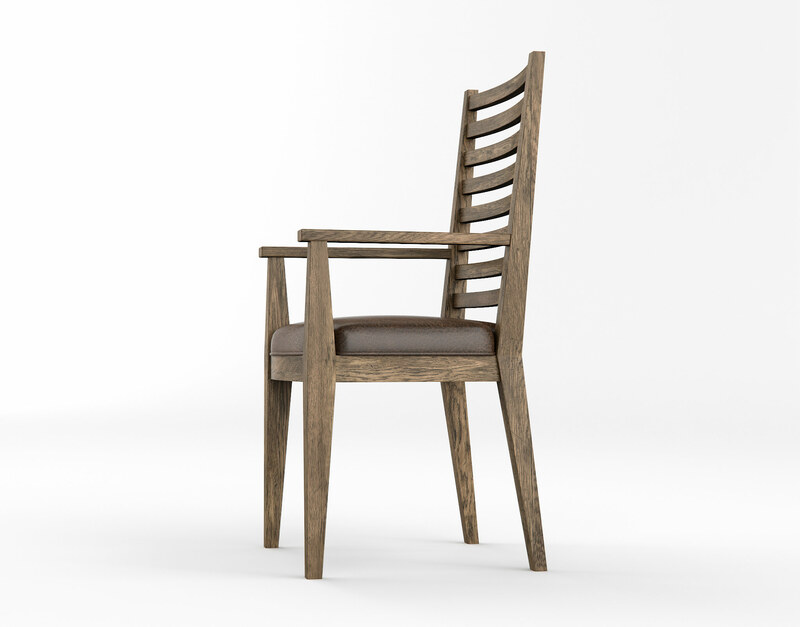 The Firmus Arm Chair 3D Model is a perfect complement to other pieces in the Firmus Dining Collection, particularly the dining table! 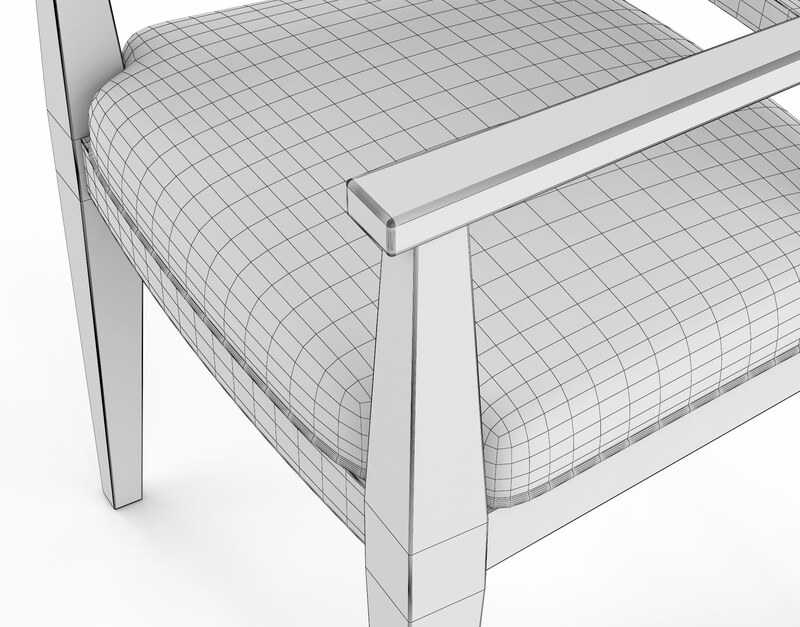 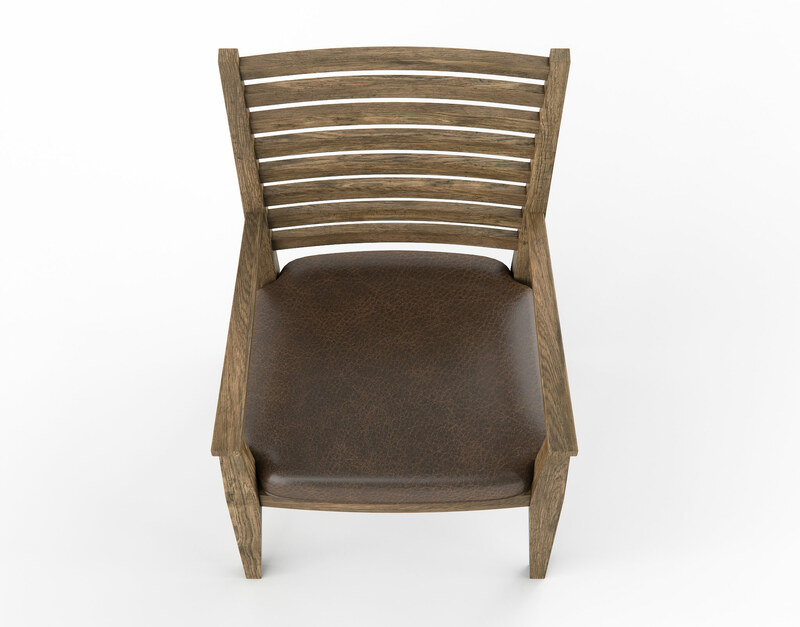 This chair works well in the table end positions alongside the Firmus Side chair design at table-side. 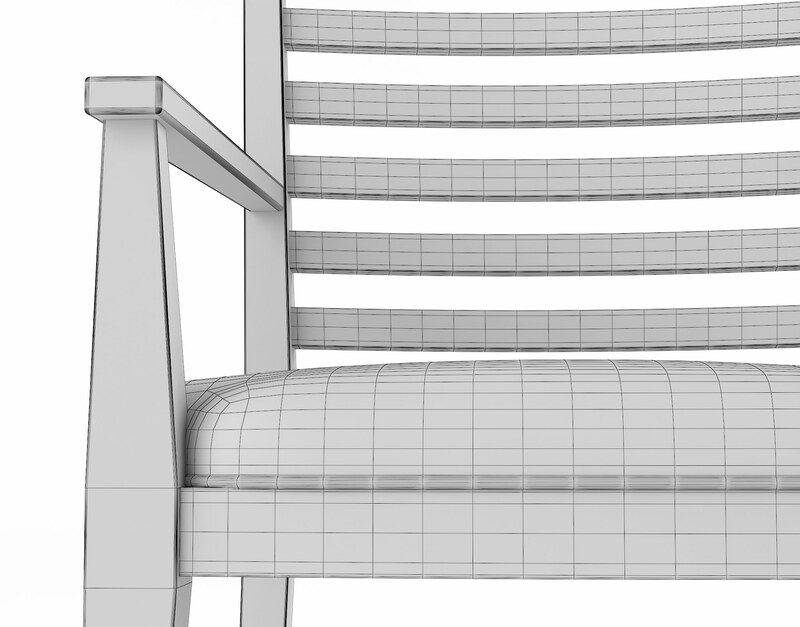 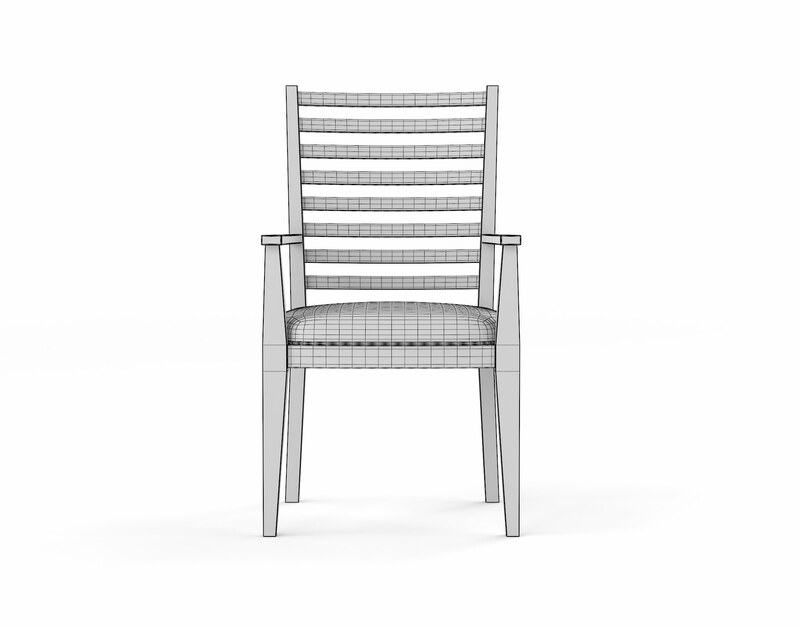 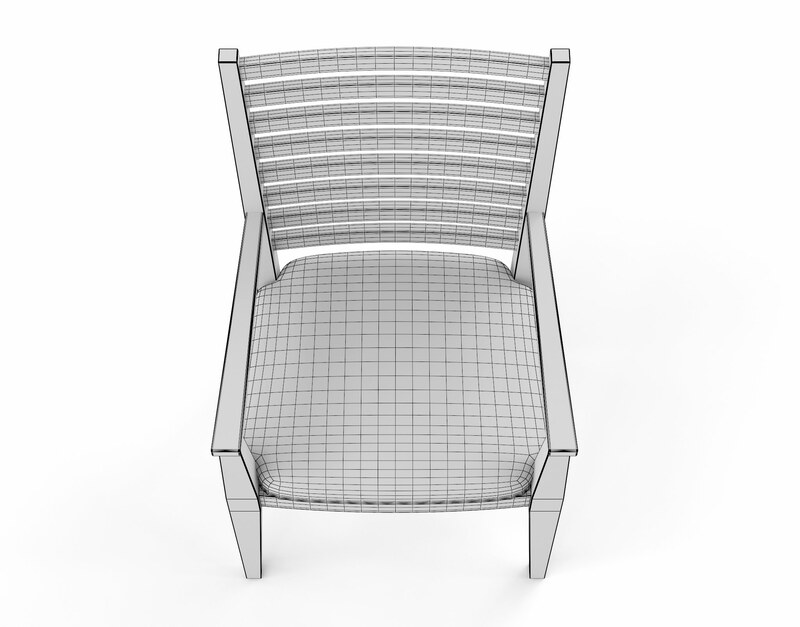 The overlapped armrest design, high-count ladder back rungs, and tapered front leg design all bring a subtle presence of solidarity and powerful presentation to this design that will echo into the overall impact of any digital rendering scene. 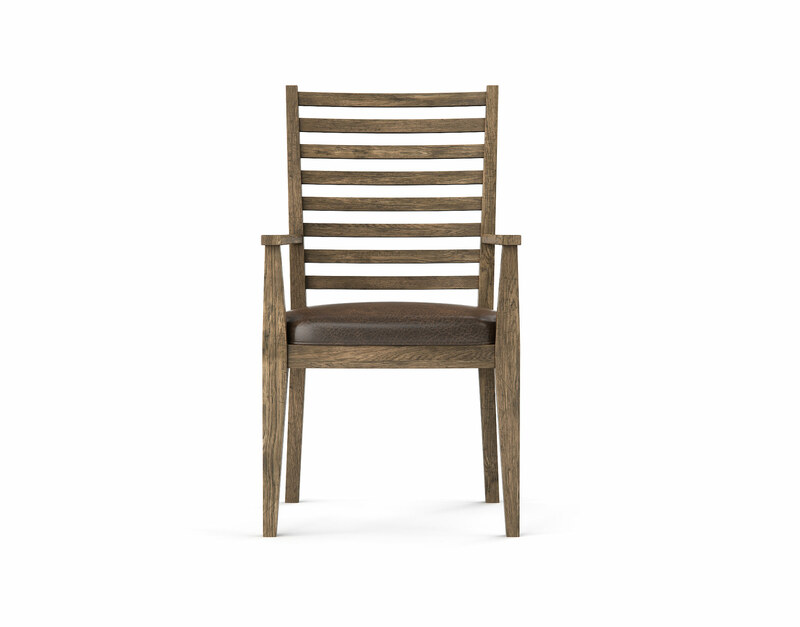 This standard-height armchair works well in dining areas, nooks, and even in some living room settings. 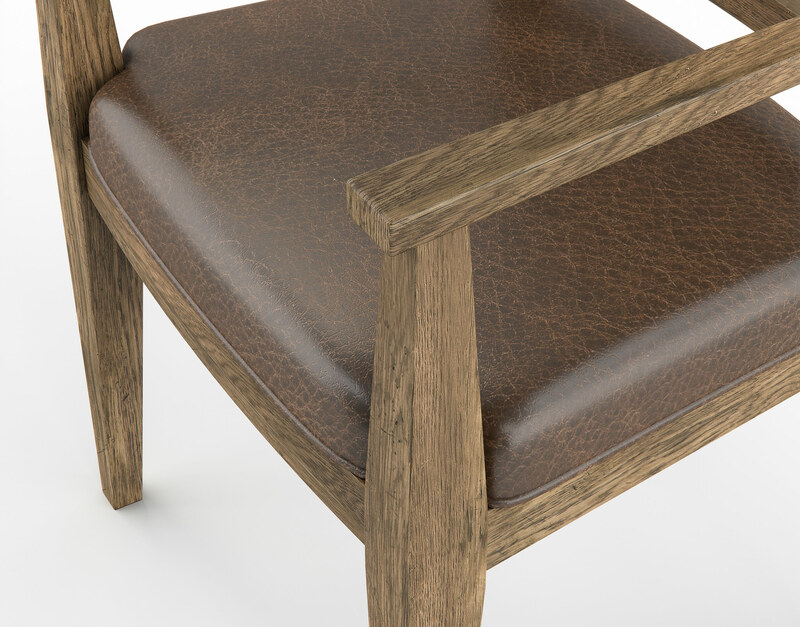 The Firmus Dining Room Arm Chair features a worn brown leather seat cushion which has been optimized for photorealistic rendering with 3DS Max and VRay. 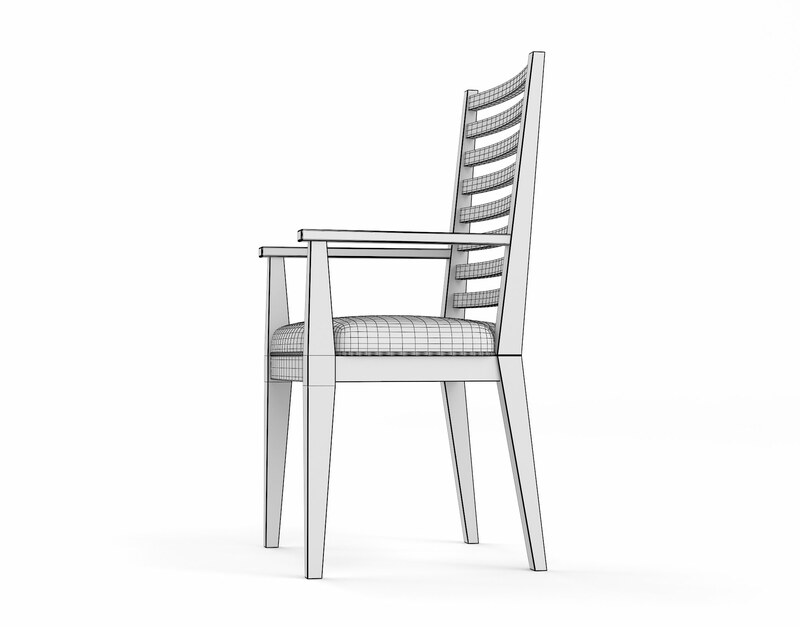 Dining chairs are prone to either being too boring or too dramatic—the Firmus chairs offer a highly-versatile design that can fit into nearly any interior motif yet still offer a tremendous sense of style an presentation. The high-resolution light reclaimed oak texture featured on its wood components is intriguing, yet still casual enough to fit anywhere!